MAKE THIS SUMMER ROCK FOR AN UNDERSERVED CHILD! 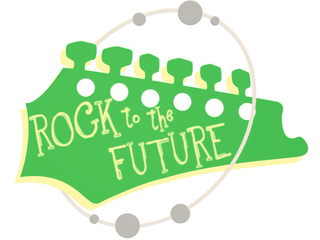 Rock to the Future is a nonprofit organization that provides a brighter future for underserved Philadelphia youth through free contemporary music education programming on modern "rock" instruments. Our programs not only teach music but also build self esteem, teach leadership, and motivate youth to stay in school, graduate, and follow their dreams. We hope to continue to expand our program to reach more underserved youth... but we need your help to do so! This summer we will offer two fun musical summer camps where lower-income underserved youth spend a week at RTTF where they learn an instrument, write original music with their peers, participate in creative workshops, and enjoy guest performances from local musicians. There is a great interest in scholarships for our summer camp and we want to be able to offer them to as many underserved youth as we can! Several scholarships are provided each year through the Ian S. Haney Memorial Fund and the Mark Webb GuitarStars Memorial Fund, so our goal is to raise an additional $2,5000 which will allow us to provide full scholarships for 10 additional low-income children to attend the summer camps at ZERO COST to them or their families. Help us give these students an amazing and enriching summer music camp experience! We have seen music heal, inspire, build confidence and improve the quality of life in our community. 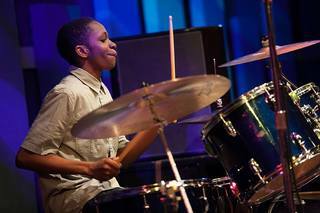 For youth in our programs the opportunity to learn to play music is a life-changing experience! Music education has been proven to increase academic performance, including standardized test scores, cognitive development, focus, memorization, linguistic skills, high school graduation rate, college attendance, and in some cases, IQ scores. Lower-income families cannot afford private music education leaving the youth at risk for falling behind in school, getting into trouble, reducing their creative potential, and depriving them of a well-rounded education. * Our students are advancing academically - Currently 100% of youth who complete Rock to the Future's MusiCore after school program have graduated high school and continued on to college or trade school. * Our students' lives are improving through music - Recently 16-year-old MusiCore after school program student, Lily, won a scholarship from The D'Addario Foundation to attend the 2015 Crown of the Continent Festival, where she got to open for Dweezil Zappa and was awarded an additional $10,000 scholarship to take online courses at Berklee School of Music - as a junior in high school. * Our programs are growing - RTTF is forming partnerships to bring our innovative contemporary music education programming into more schools and partner sites. Just this year we've gone from working with two Philadelphia schools to offering contemporary music workshops in five schools and counting! HOW YOU CAN HELP? – SPONSOR A CHILD TO ATTEND SUMMER CAMP FOR FREE! None of Rock to the Future’s achievements are possible without the crucial support of amazing people like you, who value the arts and believe in the power of education to transform the lives of children. Because Rock to the Future is a young but growing organization, we are increasingly dependent on the generous donations of people like you to carry out our crucial work. Will you donate to Rock to the Future today to help a Philadelphia child reach their full potential? Rock to the Future is dedicated to delivering a high return with quality programs that make real differences in people’s lives. There are many additional ways to support Rock to the Future including in-kind donations, volunteering or even just sharing this campaign with family and friends! We thank you in advance for your support. On behalf of our students and staff – YOU ROCK! Contribute to our summer camp scholarships fund to help us provide additional scholarships for youth. Donate at this level and we'll send you a link to download our MusiCore 2015-2016 student original songs recorded at Drexel University's MAD Dragon Studios. Donate at this level and you'll be supporting the partial costs of a student scholarship to attend our summer camp! To say thanks we'll send you a new limited edition RTTF tank top or tee shirt. Tees and tank tops are black and white and come in a variety of sizes! SEND A STUDENT TO SUMMER CAMP! Rock to the Future was started in 2010 with the vision of using contemporary music education to help youth succeed in not only music but also school and life. In 5 years, the organization has grown to serve over 300 Philadelphia youth with completely free contemporary music education and has a history of helping youth improve grades, stay in school and attend college, and improve social skills.